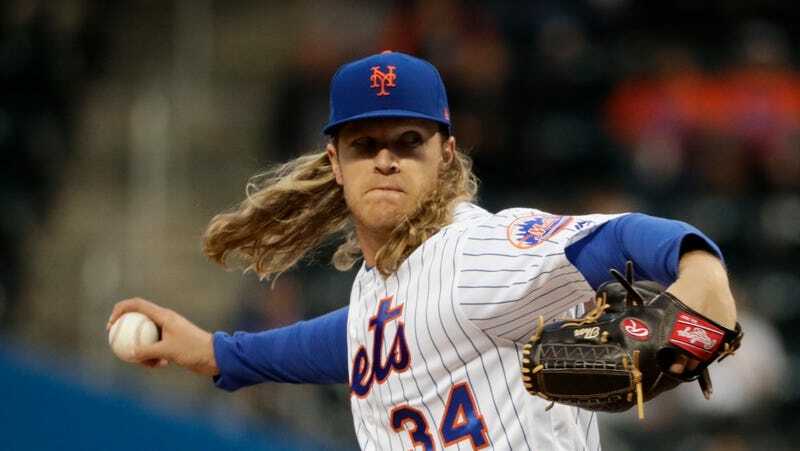 Mets ace Noah Syndergaard was pulled from his start yesterday in the second inning with what was described as an injury to his lat muscle. This happened after Syndergaard had already had his start pushed back due to biceps tendonitis. Today, the Mets have revealed that the big hurler suffered a partial tear of his right lat muscle. Who knows if the biceps issue had anything to do with the lat tear—I’m sure you could make the argument that pitching through the pain of tendonitis altered Syndergaard’s delivery in a way that put increased stress on his lat—but it doesn’t look good on the Mets for letting Syndergaard take the mound yesterday despite the fact that he refused an MRI. The Mets have not given a timeframe for Syndergaard’s return, but Steven Matz missed two months with a similar injury in 2015.